This Wrangler Riggs Men's Navy 3W700 NV Short Sleeve Pocket Tee Shirt is perfect for long hard days at work -- and it's ideal for long relaxing days off-the-job, too! Constructed of a 7-ounce 100% ringspun cotton jersey, this tee is both durable and comfortable. ... (see full details) (see specifications) #WRG3W700NV. This Wrangler Riggs Men's Navy 3W700 NV Short Sleeve Pocket Tee Shirt is perfect for long hard days at work -- and it's ideal for long relaxing days off-the-job, too! Constructed of a 7-ounce 100% ringspun cotton jersey, this tee is both durable and comfortable. The fabric feels wonderfully soft against your skin and will hold up to tough wear and repeated washing. Vented taped side seams and a taped neck seam add comfort and durability, and the neck doesn't annoy, thanks to the tagless label, for a smooth feel against your skin instead of a scratchy tag. Built for comfort, the fit is roomy and relaxed, so you can count on it for unrestricted freedom of movement that doesn't fight you at every stretch, bend, and twist. A left chest pocket and hidden utility loop add convenience to this versatile shirt that works as well alone as it does layered with other clothing. Choose this wear-everywhere tee for work and for casual wear. Order plenty 'cause you're going to love this Wrangler Riggs Men's Navy 3W700 NV Short Sleeve Pocket Tee Shirt. 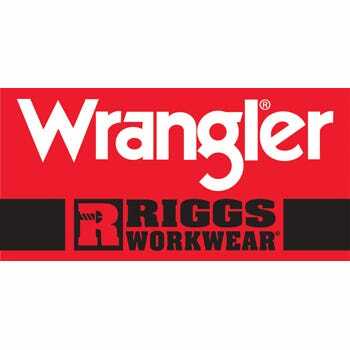 We have them in plenty of colors, so place your order today right here at Working Person's Store! 131 out of 131 people found this product review helpful. I have several different colors of these Wrangler Tee Shirts, including this Navy colored one, and they are a very Nice shirt. I also have a lot of Carhartt brand Tee shirts too, but much to my surprise, these Wrangler brand shirts are equally as Nice. They are 100% Cotton and they are generously Cut, so they feel good when I wear them. The stitching is good and they have held up great to many washings. I have been very Happy with this Wrangler Navy shirt and will be buying more of them. Plus, the price here at the WorkingPerson store is cheaper than I paid at my local Meijer store! Great Shirts for the price! Absolutely the best shirt made. I started wearing these three years ago and this particular blue is what I wear most at work. These shirts are still as durable and thick as when I first purchased them. They're a high quality, heavy weight, shirt. Not only do I wear these on my job everyday, it's also the shirt I wear when not working. I agree - the best t-shirt! My husband likes these better than Carhartt!! absolutely the best t-shirt ever made. i just wish you offered more colors and had an ad somewhere so you could get the word out. it would be great to be able to buy them at a retail store. this is real talk because i am not crazy about your jeans, but the t-shirts...simply the best. hands-down the best t-shirt ever made. i just wish you had more colors. please add some colors...also place one ad somewhere to get the word out. Wrangler Riggs Shirts: Men's Navy 3W700 NV Short Sleeve Pocket Tee Shirt is being added to your cart.